You Can Eat Pho in Every Street Corner. Who doesn't love a bowl of steaming pho? 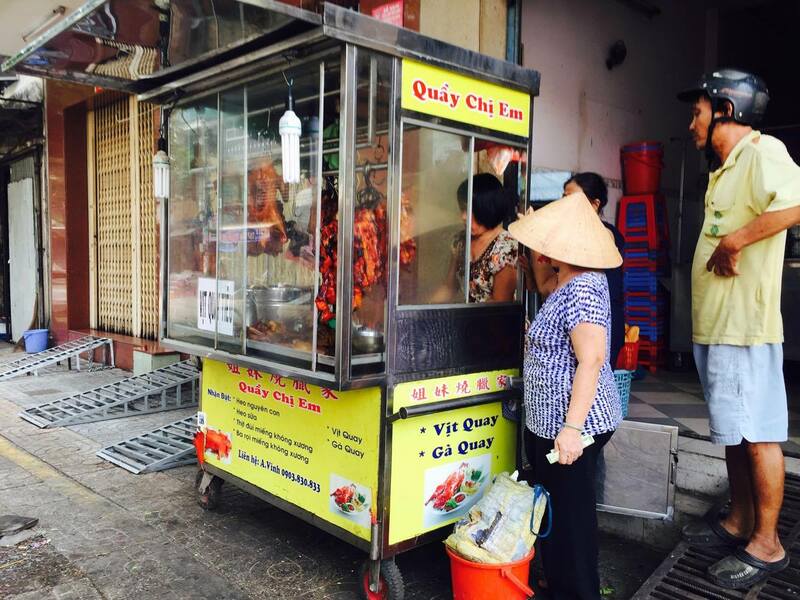 Almost every street corner has a store or stall that sells pho. From cheap restos to fancy ones. Of course we opted to eat pho in the resto that sells it for VND 50,000. Art Deco Architecture. 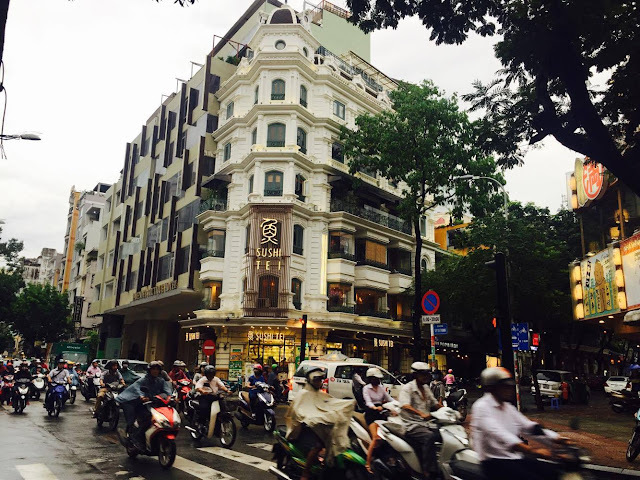 Ho Chi Minh City being a former colony of France has tons of Art Deco Buildings. HCMC is definitely a haven for architecture enthusiasts. The buildings are also a nice backdrop for photo ops. 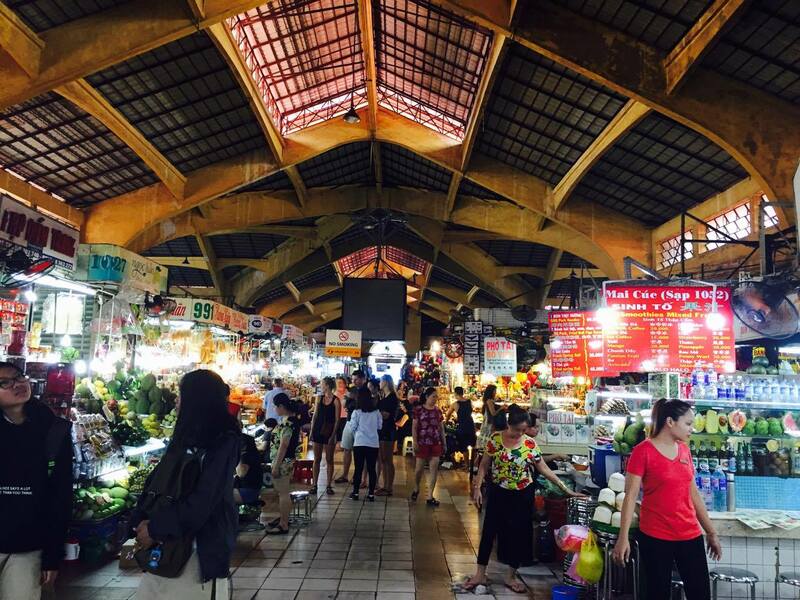 Ben Thanh Market. Everything is here. From food, fruits, meat, souvenirs, coffee, paintings, etc. It closes around 8pm though but a night market opens outside on the street. There's also of bags, backpacks, rubbershoes and other footwear at the night market. Think Greenhills. Lighting Incense at Thien Hau Temple. 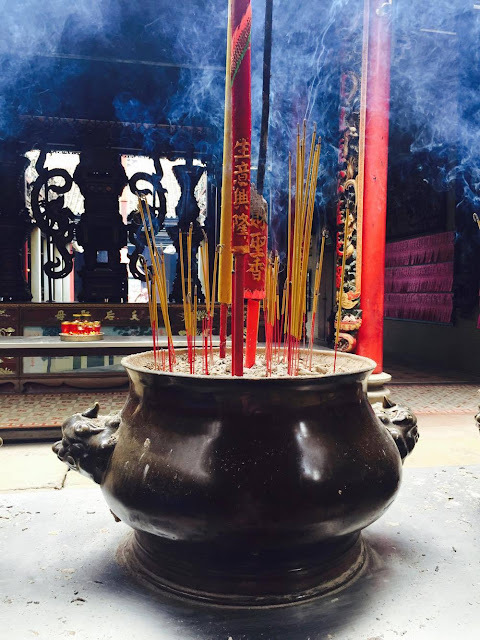 There's a belief that you need to light an incense when you visit a temple and make a wish. Nah, didn't do that. I just took photos. I just love going to temples and inhale the incense. I must've been a monk in my former life. Motorcycles, Motorcycles Everywhere. 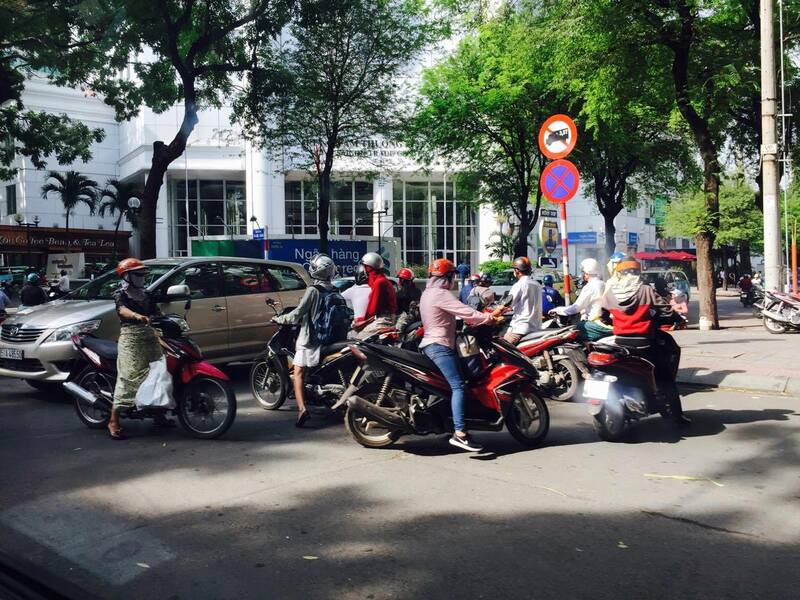 A trip to Ho Chi Minh is not complete if you haven't tried crossing the street with speeding motorcyles. Motorcyle is the main transportation of most people in Ho Chi Minh. Only a few ride taxis, buses, and train, and there's not much cars also. Proud to say that my friend and I survived crossing the streets of Ho Chi Minh City. Looking at Saigon's Skyline On Top of Centec Tower's Glass Bridge. I love being in "high" places where I can have an unobstructed view of the place. 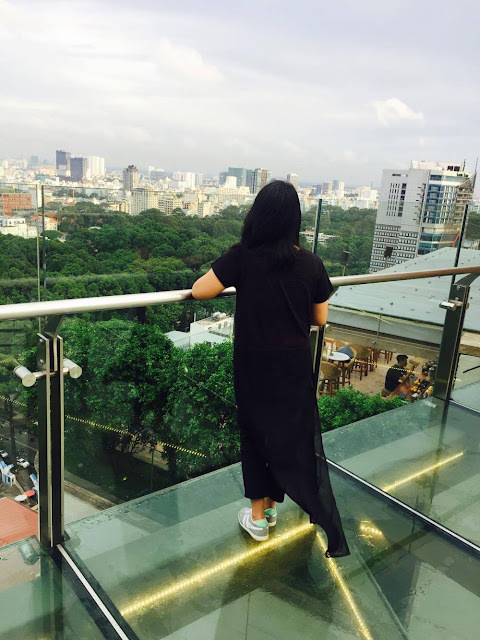 The glass bridge where I'm standing is 23 stories high and connect Centec Tower to Hotel des Arts Saigon. Eating Banh Mi at Quay Chi Em. This Banh Mi seller is our gem-find in Ho Chi Minh that we went back for a second round even if it is located in District 5 and we're staying in District 1. I even bought some meat and Banh Mi that I brought home for my family here in Manila. Streetfood. 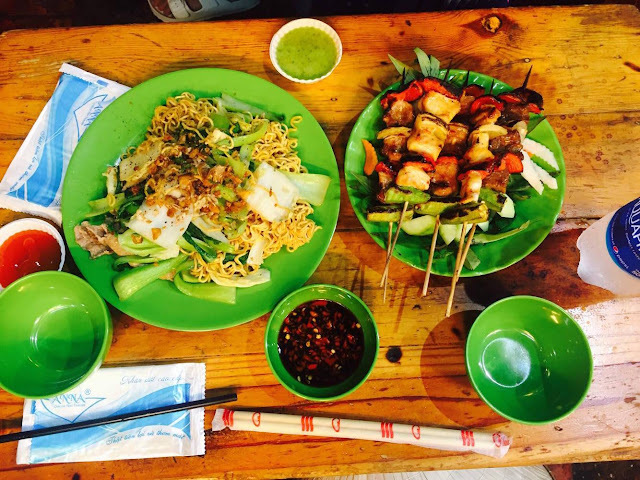 Who doesn't love streetfood? It's not only delicious but it is also very cheap. We also got to sit down on small wooden chairs and tables along the sidewalk in Bui Vien. Eating Jollibee Chicken Joy Without Gravy. 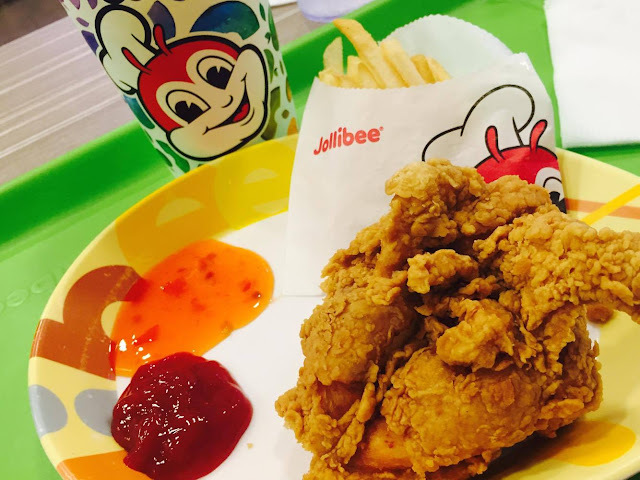 My heart fluttered when I saw Jollibee but wasn't able to check out the resto until after our fourth day in Ho Chi Minh. Luckily, I still haven't eaten dinner that night so I got myself a chicken and fries combo meal. 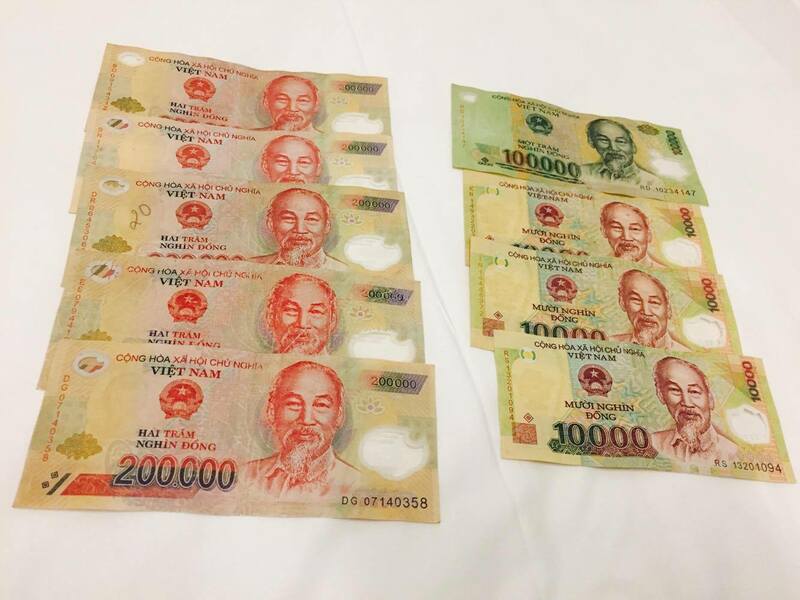 It costs VND 50,000. Then there's the matcha iced drink that costs around VND 35,000. The chicken joy tasted the same but there's no gravy! Hahaha. Only ketchup and sweet chili sauce. I find it a bit weird to eat the chicken without gravy but I survived. I also felt proud because there's a lot of customers (especially kids) when we dined at Jollibee. Some even just passed by the store to buy take outs. Jollibee is quite popular in Ho Chi Minh. 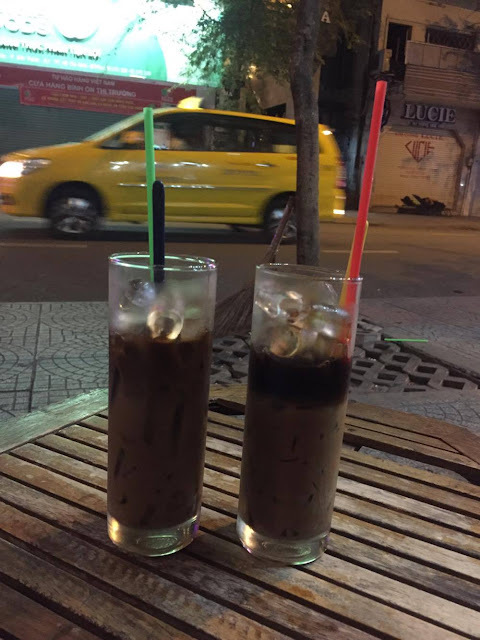 Vietnamese Coffee or Ca Phe! 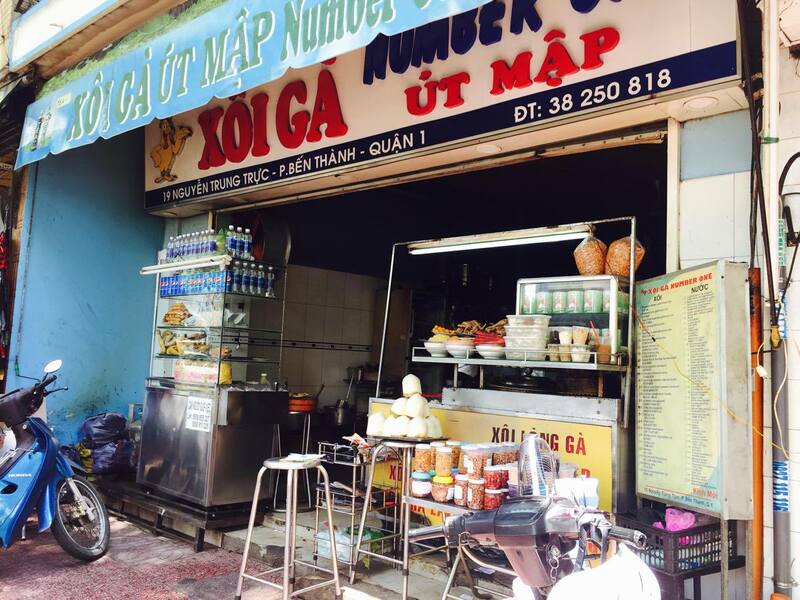 And last but not the least, there's the endless restos and food stalls that serves hot or cold Vietnamese coffee. The one in the photo costs VND 30,000 but it was so good. Sweet and creamy iced cold coffee. We also got to sit on the sidewalk and watch the endless motorcycles and taxis and luxury cars. We also bought tons of ground coffee that we packed inside our luggage. 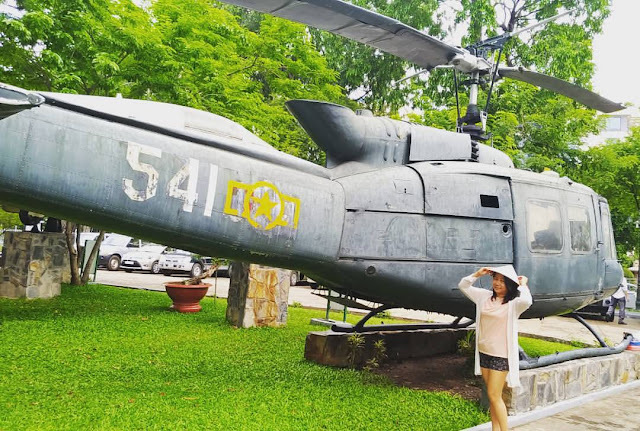 I have so much tales about Ho Chi Minh and happy memories that makes me want to travel and visit the city again.